I am trying to think of how to start this post, but the only words looping around my brain tonight are: “I like to ooot, ooot, ooot, oooples and banooonooos”. And if you don’t have a toddler, you have no idea of what I’m talking about and probably think I’m insane. It seems that Kai has a thing for the Wiggles, and I don’t get it because I didn’t grow up on the Wiggles. To me they are strange grown men, wearing turtle necks, singing kids songs and dancing around. And guys: they are like reeeeally committing to these dance moves. Especially that purple one. So much enthusiasm! I guess being spouse of a food blogger has its pros and cons. Con: they will probably reveal some embarrassing information about you to their readers. Pro: they will make up for it by cooking delicious food for you. Con: that food will probably be cold when you eat it because they need to take photos before you get to eat. What do you think? Should there be a support group for spouses of food bloggers? Well for these zucchini roll ups, it didn’t really matter, warm or cold, it was delicious either way! These babies have all of those fresh flavors you’d find in a caprese salad wrapped up by a zucchini ribbon. The zucchini still had the tiniest bit of crunch to it, and I liked it 🙂 I think these zucchini roll ups would be even better if served with a drizzle of balsamic reduction. You should be able to find it in stores, or use this one! I think these guys would be perfect for a backyard barbecue…so simple to prep, and easy to grill up. And definitely easy to pop into your mouth! These look so yummy.. was the dipping sauce just straight balsamic? Thanks, Dana! The sauce in the video is a balsamic reduction. My first party for this weekend will be made with this fantastic zucchini recipe. All the delicious flavors inside makes it perfect. This healthy roll is definitely the best. Hi Chef Devaux! I hope you like them! They would be perfect for a party! I love little savoury nibbles.. especially when they are as healthy as this. I never would have thought to combine zucchini with the flavours of caprese before but clearly it works. These look delicious Denise! I think out of all the kids music I’ve heard on Spotify, the Wiggles are on the less annoying side 😉 Thanks, Marcie! I love these! 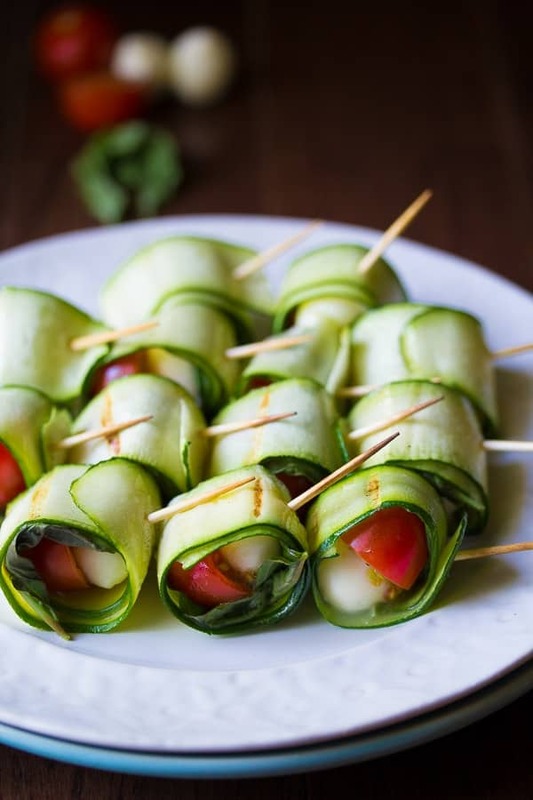 I’ve done caprese bites but never with zucchini! What a great idea! I love the added texture element to these. I make caprese bite for every baby and wedding shower I throw. Next time I’m going to have to make these! I can totally relate to having toddler songs in your head, they are so catchy! 🙂 I love how simple this recipe is, it is perfect for a summer BBQ! They are impossible to get out of your head once they’re in, aren’t they Kalee? Just love these, Denise! Never though of using a vegetable peeler to slice up zucchini but it looks like the perfect way to get long, even strips. 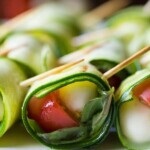 What a tasty little appetizer – grilling them is perfect – it will soften up the zucchini and melt the cheese a little. Definitely want to try them! I tried slicing them thinly myself but they weren’t thin enough…the veggie peeler was just perfect! Thanks, Geraldine! 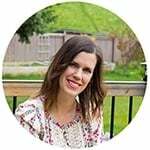 Haha I totally agree with you, there should definitely be a support group for spouses of food bloggers. I think my husband would gladly join, as I’m sure I drive him crazy every now and then. These roll ups are so creative, Denise! 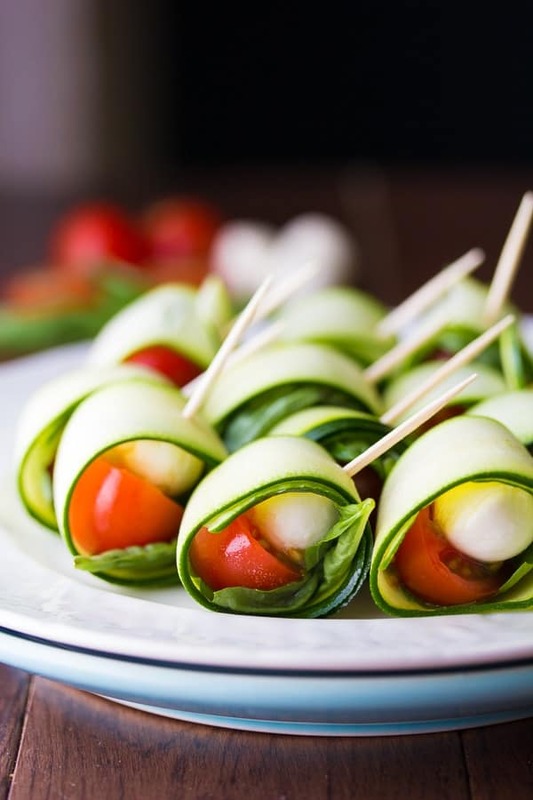 I can’t get enough of anything caprese flavored, so I’m loving that you rolled the flavors in zucchini ribbons. Sounds delicious! oh man, I hope Ben doesn’t read your blog , because you’re in big trouble if he does 🙂 I am so thankful my kids never got into the Wiggles or Barney!! Just remain calm, this phase will pass! These caprese rolls are so pretty! Ha ha ha! As soon as I read that song, I knew EXACTLY what you were talking about. I babysat for this family in high school, and they’re toddler was OBSESSED with the Wiggles. He would watch it over. And over. And over. This really takes me back. 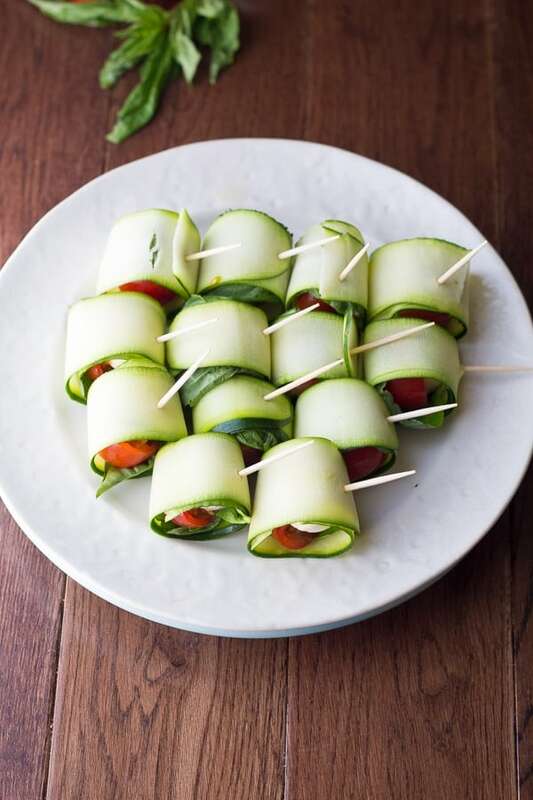 Loving this caprese roll ups! Such a cute idea! Oh no! You can totally relate, then!! Thanks, Natalie! So cute that Kai likes the Wiggles 🙂 My son is a fan of their songs and videos too. 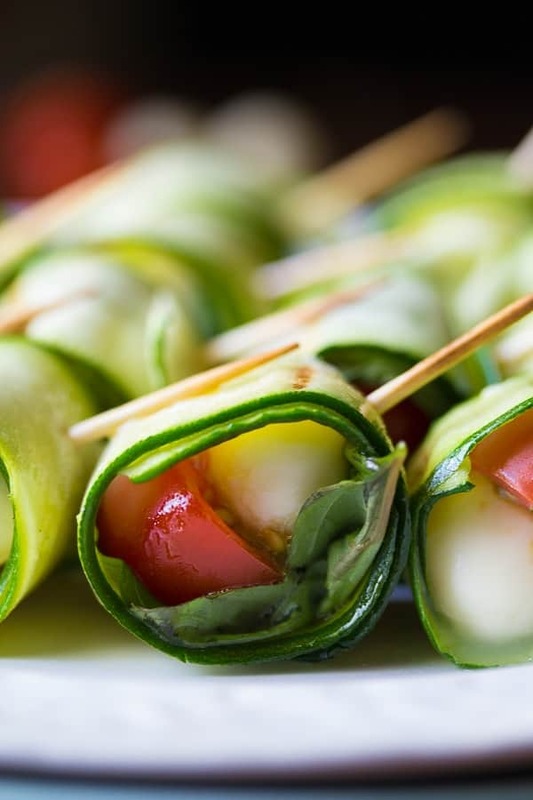 These zucchini roll-ups are such a great idea! They look amazing and I love the caprese twist! So healthy and perfect for summer! Oh my goodness, these roll-ups are just beyond adorable, Denise! Seriously so gorgeous too, but that wouldn’t stop me from eating ALL of ’em! Hey, they’re uber-healthy so I totally can, right? ?